The OpenScope MZ uses software calibration to improve measurement accuracy and each OpenScope MZ is calibrated as part of the manufacturing process. The OpenScope MZ does not need to be re-calibrated before each use, however, calibration is recommended before the first use and when changing environments, especially if there is a large temperature variation between environments. Calibration tables are saved in the OpenScope MZ flash in one of two locations: flash and SD. 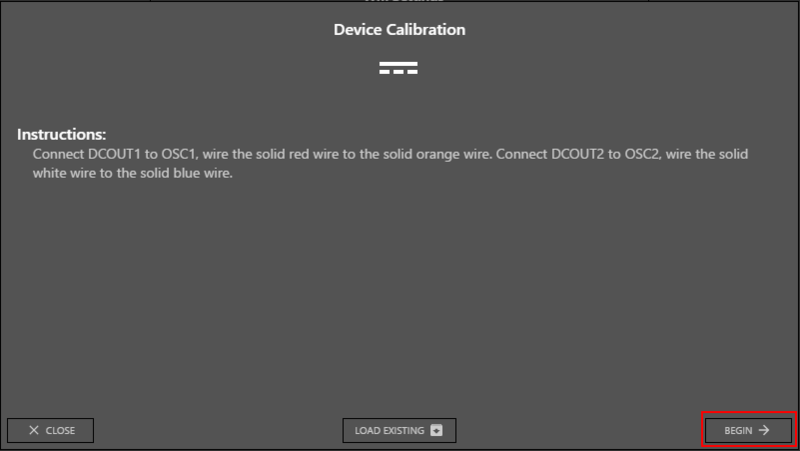 The SD calibration is intended to be overwritten by the user during normal use. The flash calibration is populated during manufacturing but it can also be overwritten. Calibration data is applied to the instruments when the OpenScope MZ boots. If the SD calibration exists it will be applied. If not and the flash calibration exists it will be applied. If neither the SD nor flash calibrations exist the ideal calibration will be applied to the instruments. The OpenScope MZ is calibrated using WaveForms Live. Add the OpenScope MZ to WaveForms Live. Click the More button on the device card and select Configure. Under the Calibration section click Calibrate. Device specific instructions are provided. Connect the solid red wire to the solid orange wire. Connect the solid white wire to the solid blue wire. 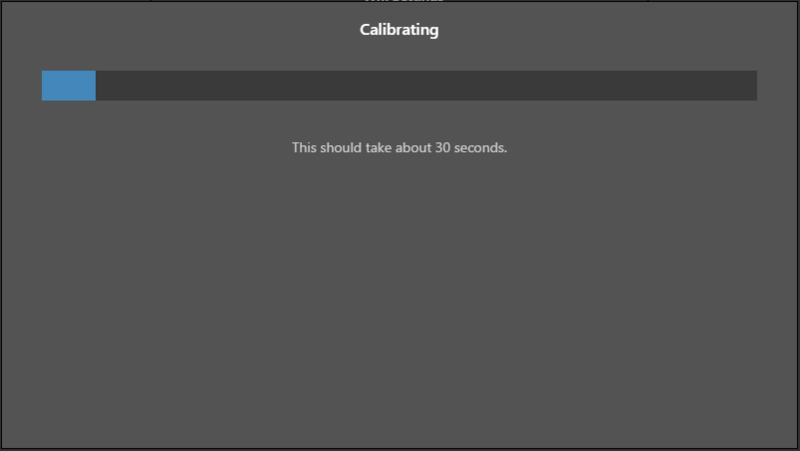 Click Next to begin calibration. The calibration process takes about 30 seconds. 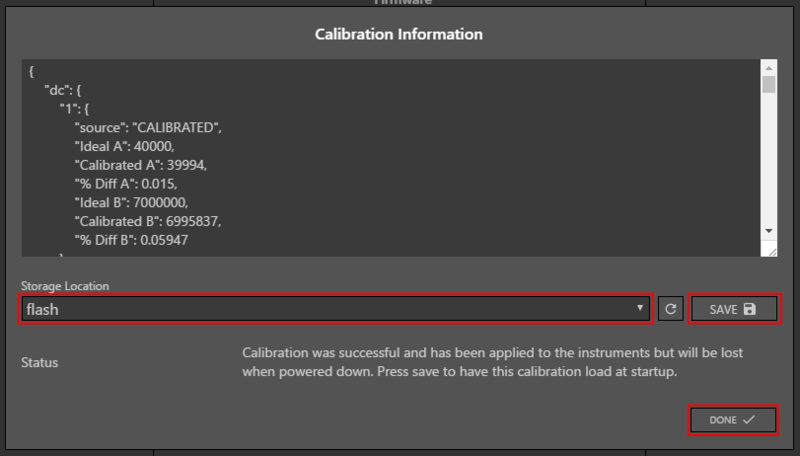 The calibration information is displayed. Select the desired storage location (flash is recommended) and click Save. Then click Done. The new calibration data has been applied to the instrument and will be applied at boot.